This unit features a widescreen high-resolution 10.1" LED display with beautiful color and crystal clear video. This monitor is an excellent low cost solution for constructing and developing scalable security monitoring and video surveillance systems. 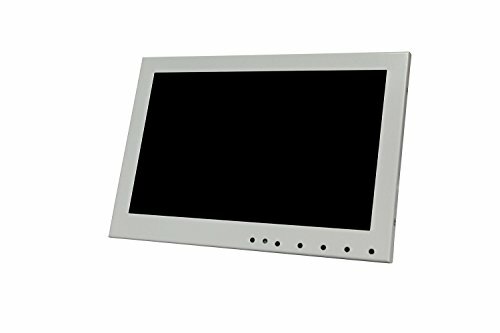 The 10.1" screen features three video outputs, VGA, HDMI & DVI all of which can be connected simultaneously and selected independently using the included wireless remote or the front panel buttons on the monitor. If you have any questions about this product by Kenuco, contact us by completing and submitting the form below. If you are looking for a specif part number, please include it with your message.